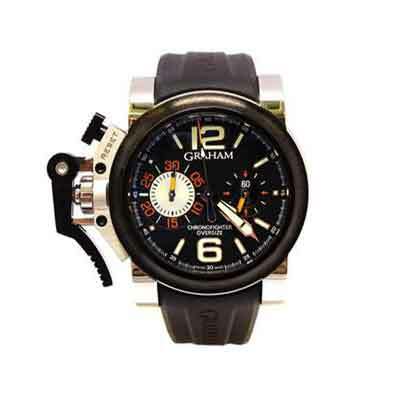 Graham Chronofighter Oversize Limited Edition in stainless steel. 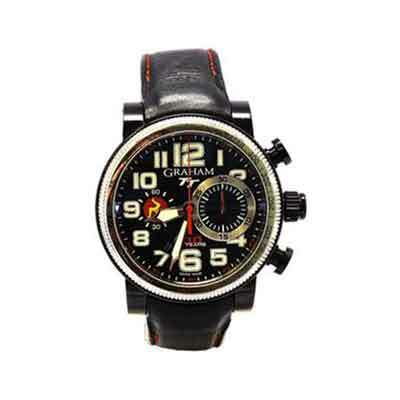 Black dial with white stick and Arabic numeral hour markers. Black rubber strap. Graham Silverstone Tourist Trophy in black PVD stainless steel. Black dial with white Arabic numerals hour markers. Black leather strap.